After a full day of adventure by land and sea, the Beach Club will be the perfect place to cool off and refresh in the oceanfront swimming pool. Festive music around the tiki bar or freshly caught fish on the grill for dinner – it’s the island lifestyle you’ve dreamed about, just waiting to be enjoyed. 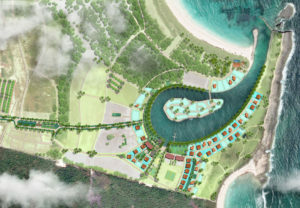 Surfing, kayaking, paddleboarding and more – the Schooner Bay Beach Club will make it easy for you to enjoy nature’s playground in a way you never thought possible. Today may be the day to try something new. Put on the mask and snorkel and let’s get the adventure underway.